In one case, a Stafford resident reported receiving a call from an individual claiming to be from the DEA. The individual told the victim that her social security number had been linked to a drug trafficking incident in Texas and that she needed to put money into a “safe card” to protect herself. The caller then told the victim to purchase $2600 worth of gift cards and provide the card information over the phone. The victim followed these instructions and did not realize it was a scam until after the gift cards had been redeemed. Detectives would like to remind the public that law enforcement will not request payment to resolve investigations. In addition, please remember that gift cards are for gifts, not payments. Anyone who demands payment by gift card is a scammer. 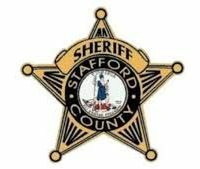 Those who believe they may be a victim of a scam are asked to immediately report their suspicions to the Sheriff’s Office at (540) 658-4400.